Dr. Michael Renk was born and raised in Pittsburgh, PA and graduated from Baldwin High School. He has been a chiropractic patient since the age of 14. From 1990-1994 he went to Robert Morris University for his undergraduate studies and in August 1998 he graduated from Logan College of Chiropractic in St. Louis, Missouri with a doctorate in Chiropractic. He is also on the Logan College of Chiropractic Alumni Association. Dr. Renk is married to his wife, Jen and they have three children: Zachery, Taylor and Adam. On March 8, 2003 Dr. Renk founded Chiropractic Associates of Cranberry, L.L.C. He lectures regularly on the benefits of chiropractic care and wellness and is dedicated to the philosophy, art and science of chiropractic. 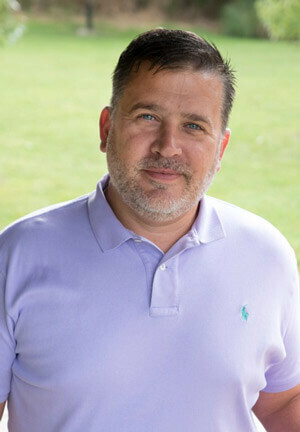 Dr. Renk is board certified in acupuncture and adjunctive physiotherapy procedures and practices a variety of chiropractic techniques including Gonstead, Diversified, Logan Basic, Thompson, Pierce and Activator. He offers nutritional consulting and was recently certified in Spider Tech Kinesiology Taping. Greater Pittsburgh and Cranberry Township families enjoy chiropractic and its amazing benefits.